It wouldn’t be until 2012 that she would join Knoxville Endurance for marathon focused training. 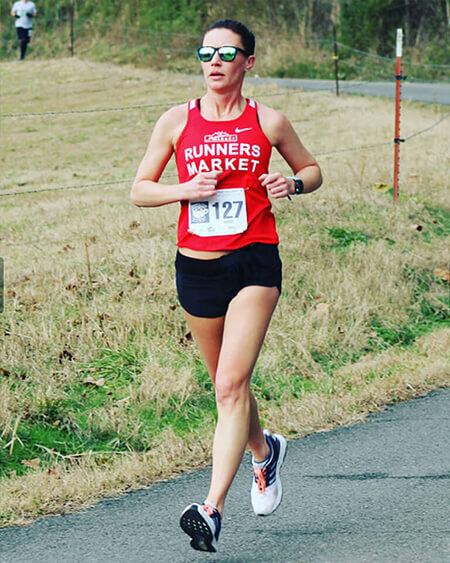 In 2016, she would run her first Boston qualifying race at the Indianapolis Monumental Marathon where she finished in 3:35, which got her into the 2018 race. She would qualify for Boston again at the 2018 race under what we very well know were challenging conditions. As we know, she finished quite well but getting there was an interesting journey to say the least. Running in shorts, a singlet, and arm sleeves, Lindsay didn’t even get cold. She ran with a few KE athletes for a portion of the race but found herself alone in the latter half which went remarkably well for her. She felt so good that she didn’t even know she ran heartbreak hill. A serendipitous experience shared by more than one KE athlete that day. She would go on to cross the finish line in 3:33 setting her marathon personal record, and comfortably smashing the qualifying standard for 2019. 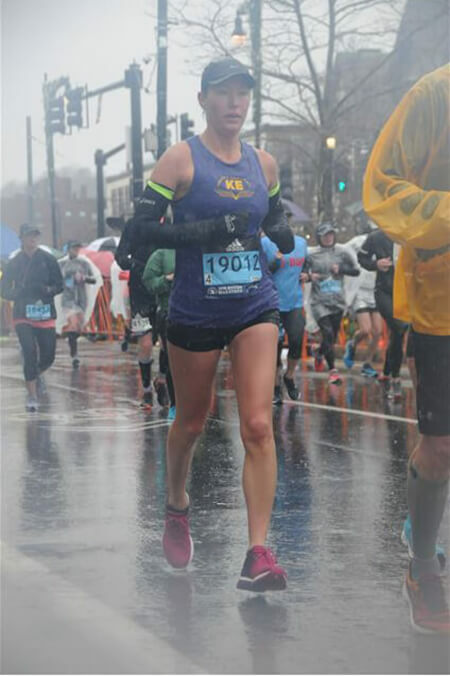 Running is a difficult sport, and it takes a lot of effort to get into the Boston Marathon, and Lindsay provides some insight as to the mindset she has that has gotten her there twice in a row, and by no means in any way that was easy. While running might seem like a solitary sport, it’s deceptively not the case. The comradery is something Lindsay can attest to. Having people going through a similar challenge, and supporting each other through that process keeps her coming back. But more important than qualifying for Boston, Lindsay articulates the significance running has meant for her personally in difficult times. It can’t be stressed enough how encouraging it is to hear and see someone overcome the inevitable yet variable challenges that life seems to place in our paths and Lindsay exemplifies the spirit of not giving up when the going gets tough. We will be excited to see her toe the line with Knoxville Endurance once again this April.